Heads up Amazon shoppers! Next Friday, December 29th, Amazon is promising “the biggest sales of the year on digital content” for Amazon’s Digital Day. 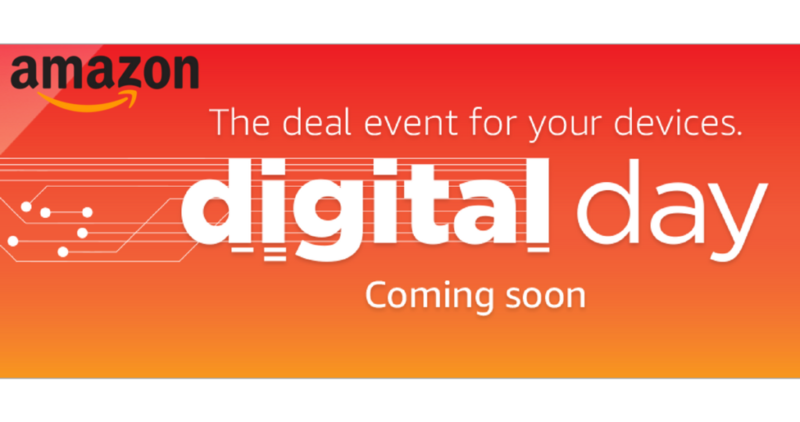 To make sure you know when specific deals begin, sign up to receive notifications from Amazon, or follow #DigitalDay for updates. Some deals will even be starting as early as Tuesday, December 26th. When the sale starts, you’ll find huge savings on video games, music, movies, Kindle Books, audiobooks and more! You’ll be able to save up to 80% on over 5,000 apps, games, movies and eBooks and there will be 40% more deals than Digital Day last year. Amazon Digital Day will be one day only, on Friday, 12/29.